They look a little like model rockets or blown-glass Christmas ornaments, but these are the oceanic skeletons of the ancestor of a creature that you’re probably pretty familiar with. 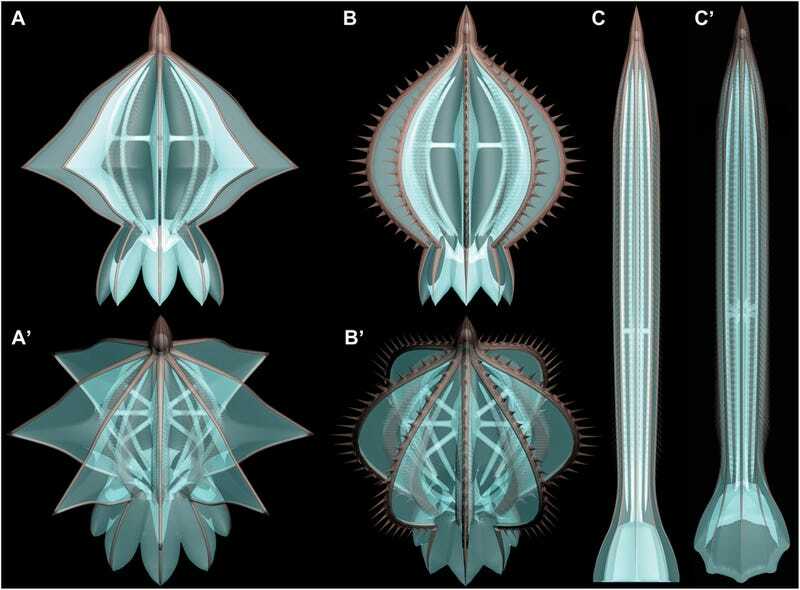 A new study in Science Advances looks at the strange fossils of a comb jelly ancestor from over 500 million years ago, and reconstructed these 3-D models of what they once looked like. Comb jellies are still around in a modern form, but in the intervening millennia, they’ve lost the skeletons that gave them their almost robotic-look. While their skeletons were casualties of evolution, though, they also gained something that their ancestors lacked: tentacles, which ensured that, even without an exoskeleton, they still look like the aliens of the sea.